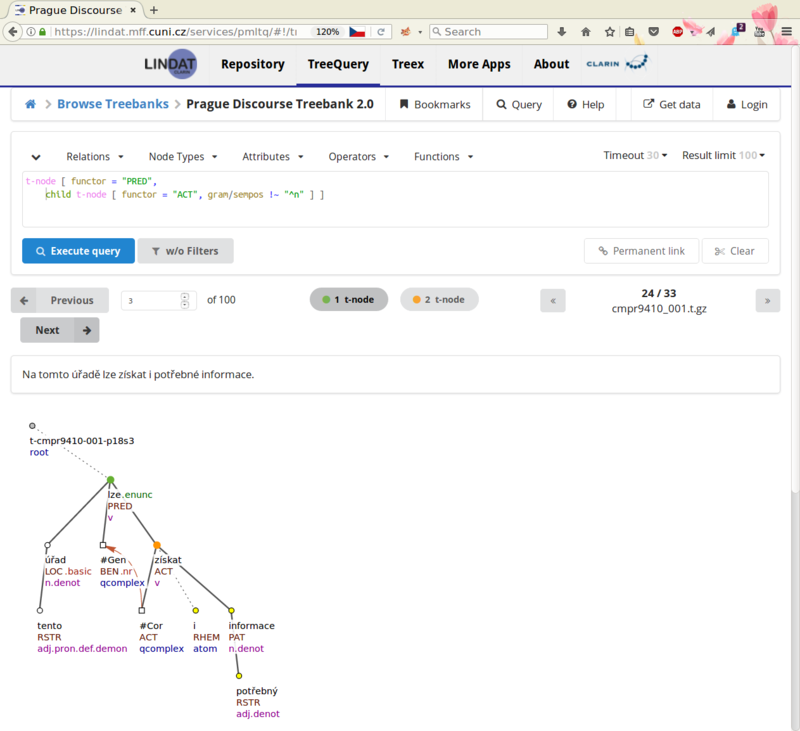 The PML-Tree Query (PML-TQ) is a powerful open-source search tool for all kinds of linguistically annotated treebanks with several client interfaces and two search backends (one based on an SQL database and one based on Perl and the TrEd toolkit). 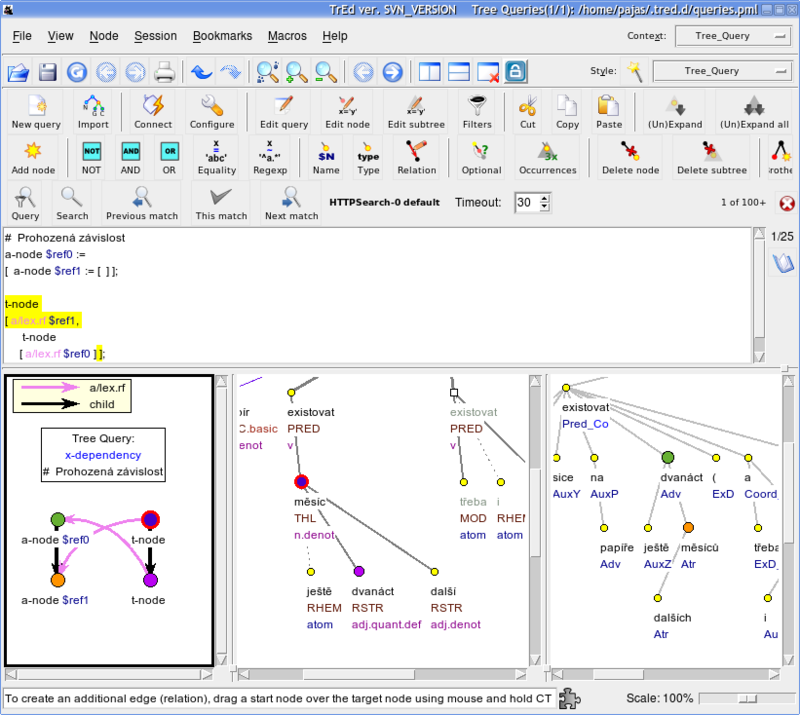 The tool works natively with treebanks encoded in the PML data format (conversion scripts are available for many established treebank formats). 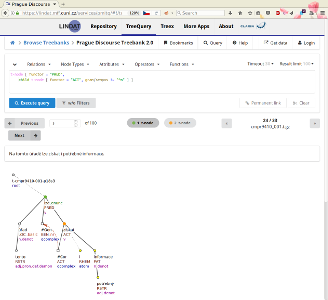 ÚFAL is hosting a PML-TQ search service for PDT 2.0, PDT 2.5, PDT 3.0 and many other treebanks, including Penn Treebank 3, Penn Chinese Treebank, Penn Arabic Treebank, Tiger Corpus 1.0, Universal Dependencies treebanks, and HamleDT treebanks. 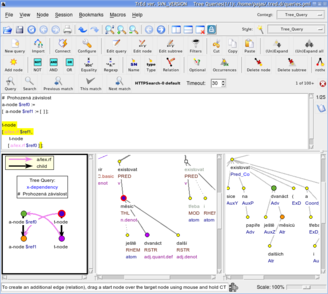 The server is accessible from several clients, including modern web browsers and the tree editor TrEd (see clients). Use the client-side PML-TQ search engine, which is a part of the pmltq extension to the tree editor TrEd (see the section about client interfaces), to search your treebank data locally. Download and install the PML-TQ server (Linux, UNIX, Mac OS X) on your computer/server.